Currency Converter ($185.00) Convert USD EUR GBP NZD Loading Sorry, there was a probem with the currency conversion. Please try again. 2019-05-26 Mr Sheepskin In stock! Order now! The Zip Boots are ideal for people with limited movement in their feet or those with swollen feet. The zip opens down to the toe allowing the wearer to easily put their feet into the boots. All Mr Sheepskin footwear is manufactured here in Western Australia using 100% Australian sheepskin. 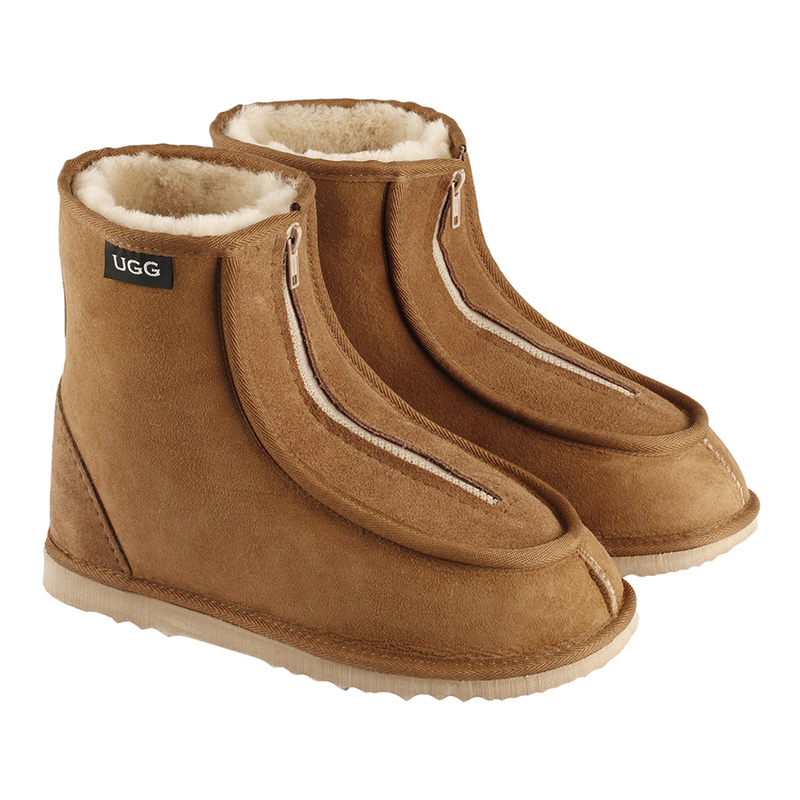 All our footwear has genuine sheepskin inner soles.